Harold Edgerton, Bullet Through Plexiglas, 1962. Gelatin silver print. 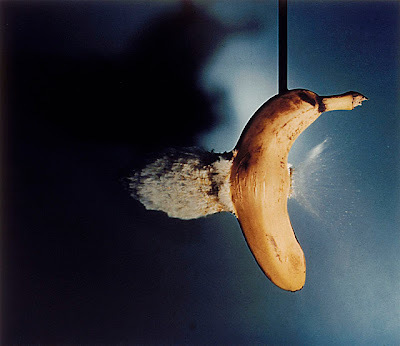 Harold Edgerton, Bullet Through Banana, 1964. Printed 1985. Internal dye-diffusion transfer print. 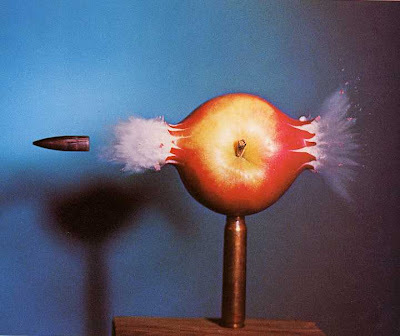 Harold Edgerton, Bullet Through Apple, 1964. Printed 1984. Dye transfer print.